Until it closed in 1972, Playland at the Beach in San Francisco was considered the Boardwalk’s sister seaside amusement park. I recall seeing Laffing Sal at Playland in her Fun House perch where her maniacal laugh could be heard throughout the amusement park and probably for blocks away. In July 1959, a new Boardwalk car ride similar to Disney's Autopia, was given a green light. That marked the beginning of our Autorama ride. Our new Autorama ride appealed to youngsters like me who weren't able to legally drive a real car. When a vehicle stopped on the track ahead of me, I carefully avoided a collision, unless its occupant was a friend of mine. A quick look to the rear prepared me for a possible bump by another friend who'd be flaunting a menacing smile. How did the Boardwalk become the #1 vacation destination for cave people? 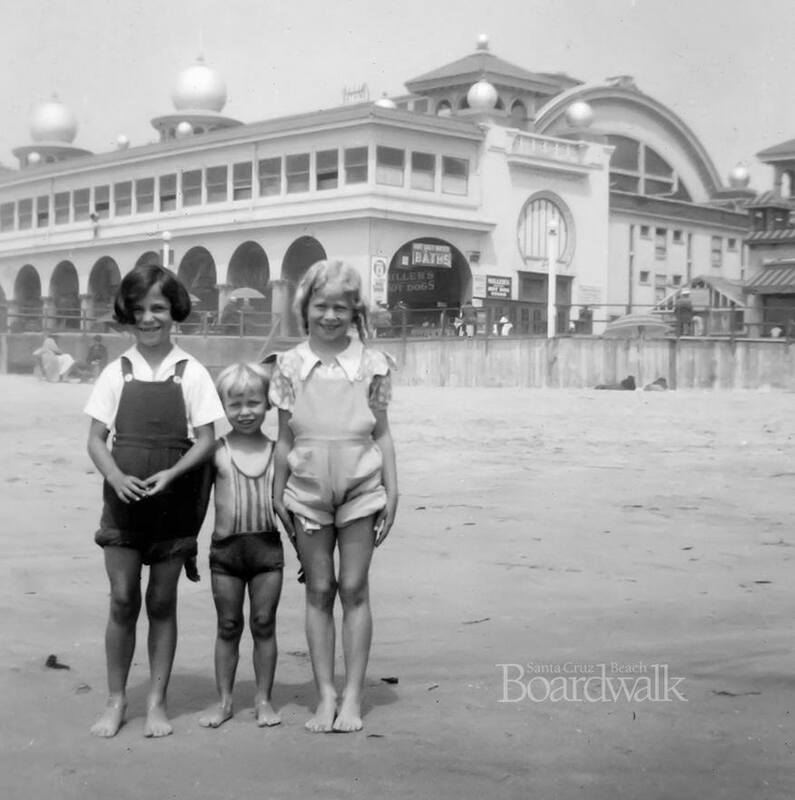 In 1960 the Boardwalk Archaeological Team made an astonishing discovery. Let’s go back nearly sixty years and discover the origin of our one-of-a-kind Cave Train Ride. Picture yourself entering the Boardwalk from Beach Street at Entrance #5 (it passes under the Giant Dipper.) Go to your left past Hot Dog on a Stick, and stop at the “Bay Brews” concession. Enjoy a local craft beer and linger over the dramatic scene behind the bar, which fancifully pictures the Boardwalk as it was in 1973. The Boardwalk’s annual Clam Chowder Cook-Off draws more than 80 cooking teams and fills the park with thousands of chowder lovers from throughout Northern California. Now in its 38th year, the Cook-Off is the country’s largest and longest-running clam chowder cook-off. In 1982, the first year, the event was quite different from the event we have today. A successful event wasn’t apparent from the start. In fact, for each the cook-off’s first half-dozen years it was unclear if that year would be its last. Did you know that a "dark ride" has occupied the same location on the Boardwalk for over 80 years? Our first dark ride, "Dante’s Inferno – A Trip to Hades" opened in 1932. In succeeding decades, we re-themed the same dark space into the likes of "Treasure Island," "Pirate’s Cove," "Haunted House," the "Haunted Castle in 1973, and today's "Haunted Castle" which opened in 2010. Read on to learn more about the evolution of the Boardwalk's signature dark ride.